Introduced by the design house of Maurer & Wirtz in 1959, TABAC ORIGINAL is a sophisticated composition fragranced with peppery-spicy notes and elegantly rounded off by exotic woods, musk, ambergris and a floral complex. An unmistakable fragrance with a discreet presence. 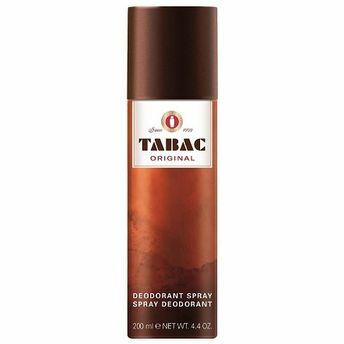 The new look of the fragrance is rejuvenated by clear and more expressive logo Tabac Original in the central part of the cult amphora, while the cap is replaced with a new one, with a high quality matte finishing touch. The flacon is highlighted with a large surface in white color, which contributes to accentuating the cosmetic look.Containing notes of lavender, citrus, and warm florals, this unique deodorant body spray will give you the confidence to take on whatever is thrown at you on a busy day. While casual enough for everyday wear, its pleasant and inviting aroma is sure to turn heads around.